Survival of the fittest monster! Voracious monsters live on a distant planet. The question is: which will get to eat and wich will get eaten? Which monster will be the last one alive? Every step and "every bite" will bring you closer to the answer. But watch out! A monster can only eat when its bottom fits exactly over the top of the monster it wants to eat. If you are hungry for some brain-building fun, sink your teeth into this exciting game of logic. 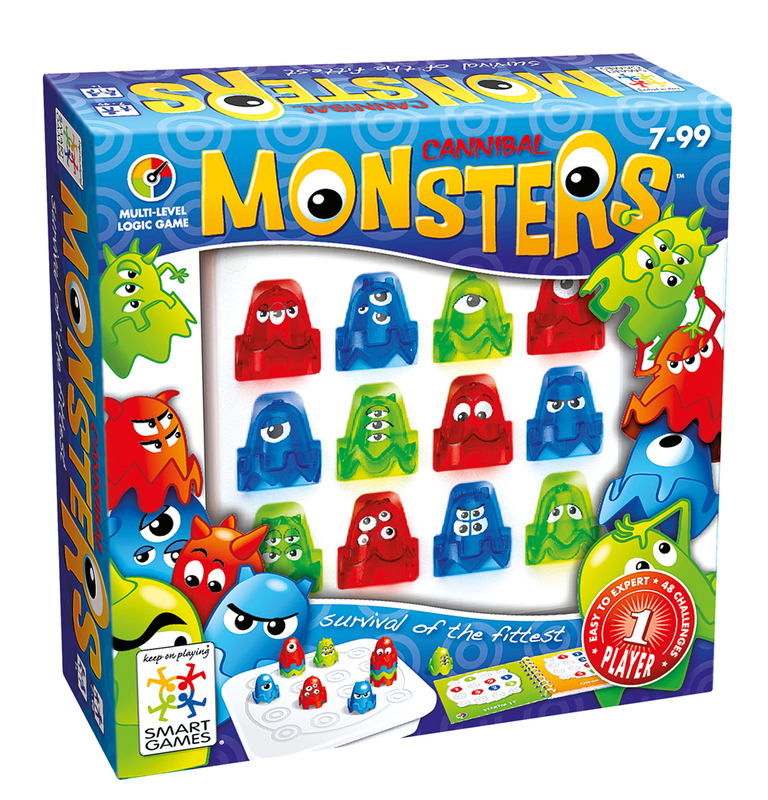 br> Includes 12 colourful monsters, instructions, 48 missions and solutions and gameboard. Design: Raf Peeters. Took part in 2010 Puzzle Design Competition.